BROOMFIELD, Colo., Dec. 14, 2017 /PRNewswire/ -- Ball Corporation (NYSE: BLL) recently won silver and bronze at this year's Canmaker "Can of the Year" Awards for its L'Oréal Men Expert Antiperspirant can in the "Aerosol Cans" category and its Tactile can in the "Prototype" category. Ball utilized its innovative ReAl® technology to make the new silver award-winning L'Oréal Men Expert Antiperspirant can. ReAl® paves the way for greater lightweighting potential, as well as stronger cans. Ball's ReAl® technology provides increased strength and allows Ball to lightweight the L'Oréal Men Expert Can by approximately 12 percent. Additionally, the 80-station necker Ball uses to manufacture this can enables the production of more intricate shapes. "ReAl® is an excellent fit for L'Oréal Men Expert, as the sustainability benefits of meaningful lightweighting coupled with the innovative shaping and bold graphics differentiate the brand on the shelf and deliver value to eco-conscious consumers," said Jim Peterson, chief operating officer of Food and Aerosol Packaging. 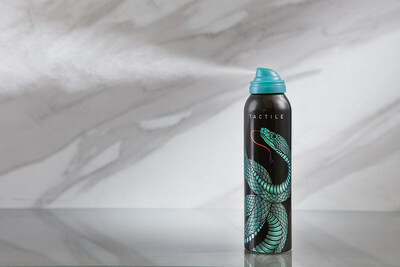 For the bronze award-winning Tactile can, Ball's innovative design and distinctive tactile print finish was brought to life by a snake featured prominently on the aluminum aerosol can. Tactile ink provides texture on the can for consumer interaction with the package. Ball is able to apply the ink around 360 degrees of the can. Enough of the tactile ink is "laid" on the can that it provides grip for the consumer. Tactile ink is a subtle art and Ball leverages significant technical experience with printing this ink on aerosol cans which it gleaned from learnings in its beverage business.